Melt butter over low heat with vanilla in small saucepan. Whisking constantly, add brown sugar and milk, bringing to a boil. Continue to whisk, cooking for 5 minutes or until sauce begins to thicken and darken in color. 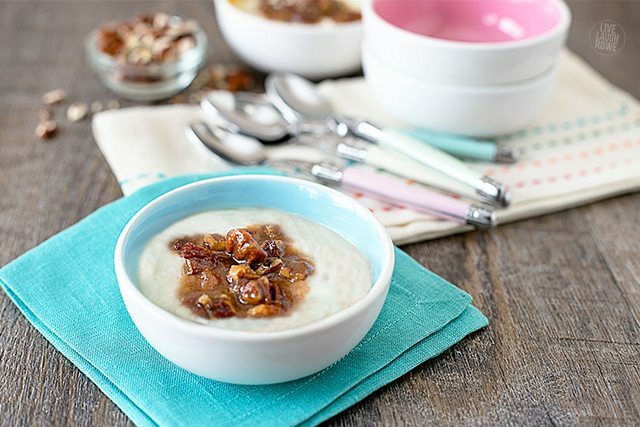 Remove from heat, stir in pecans and spoon over warm rice pudding or ice cream.